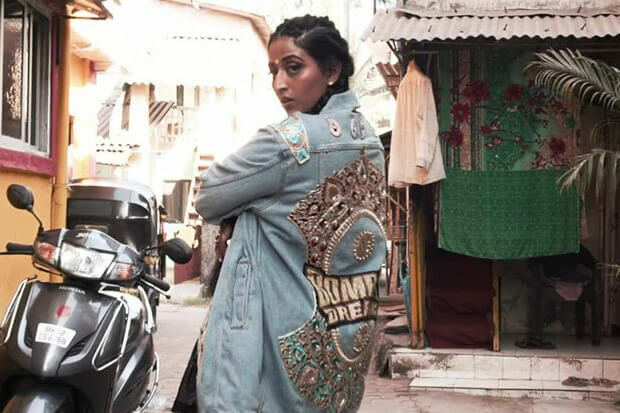 Hailing from California but with roots in India, Raja Kumari is One To Watch. The hitmaker began her career writing hits for the likes of Fall Out Boy, Fifth Harmony, Gwen Stefani and Iggy Azalea, before launching an artist project. She released her debut EP, The Come Up, in 2016 and displayed an ability to hop genres while blending hip-hop style with classical Indian rhythms. This year she is gearing up to roll out her second collection of hits on a new EP, teaming up with Indian superstar Divine on the project’s lead single “City Slums.” Her latest effort is a blazing ode to India that sees her trading verses with her collaborator and delivering an instantly catchy chorus. She tours Mumbai in the accompanying music video, which became an instant hit upon release. Within a week it had racked up more than 2 million views on YouTube and effectively kickstarted a new era. I recently had the opportunity to ask Raja some questions about her roots in music and plans for the future. The songsmith revealed which artist she most enjoyed writing with and shared the names of some other acts on her dream board for future collaborations. She also opened up about her first international tour, working with Divine on “City Slums” and the whirlwind joy that accompanied releasing the music video. Get to know the songwriter turned budding solo star below. “City Slums” is a powerful release. What was your inspiration behind writing it? “City Slums” is an anthem inspired by the streets and people of India. I wanted to make a record that captured the spirit of the city. What made you select it as the first taste of your forthcoming EP? I’ve been spending a lot of time in the motherland since the release of my first EP, The Come Up. I just wanted to share some of those experiences with my fans. I’m digging deeper on the new project and I wanted people to see where I get my inspiration. Divine is one of the biggest stars in India. What was it like working with him? Divine is the voice of the streets. I came to India with some preconceptions. He blew all of those away. India is a vibrant exciting artistic haven and he really exposed me to that. The music video for “City Slums” racked up more than 2 million views within two days. How did that feel? “City Slums” is my first video to get 1 million views, let alone 2 million. I honestly cried a few tears of joy because it meant that the people are finally hearing me. I’ve fought very hard to get the music out and it is so rewarding to get the support of the people. I’m completely inspired to grow as an artist and continue to make more real art. What was the best part of working on the visual? We shot the video in various locations in Mumbai over 24 hours. It was the biggest production I have worked on so far and it has honestly always been a dream of mine to shoot in India. The best part was when fans had figured out the location and showed up to support. The love is overwhelming out here! In the past, you have written on tracks with the likes of Iggy Azalea, Gwen Stefani, Fifth Harmony, and Fall Out Boy. How does your solo music differentiate from those collaborations? Songwriting taught me the most about my artistry…what I could write for others and what I had to keep for myself. I had the opportunity to have some of the biggest names in pop music perform records I had co-written and I got to experience selling a million records before I ever released one of my own songs. My songwriting career gave me a lot of confidence. I had done it once, I knew I could do it again! Who has been your favorite artist to write with? Gwen Stefani was the most life changing. She was always on point and not afraid to be vulnerable or honest. Even though she was going through a hard time personally, she found a way to turn it into art that other people could relate to. She is such a strong, beautiful woman and I am forever thankful for the time I got to spend with her. She definitely inspired me to go all the way as an artist and leave fear completely out of the equation. Are there any other artists that you’d love to work with moving forward? I have a vision board/wishlist of artists I’ve always wanted to work with and I’m so blessed to have already worked with a few. I have some records with Stephen Marley that I am very excited about releasing. I would love to work with Kendrick Lamar. I’m interested in fusing classical Indian rhythms with Hip Hop and I know we could do something really interesting together. What inspired you to begin working on material of your own? I’ve always been an artist…I just realized that as a songwriter I got to spend day and night in the studio for free writing songs for others but in actuality honing my craft. I knew if I could sell a million records as a songwriter, I would get a chance to make the music that I actually wanted to make… fusion music that expressed the duality of my upbringing and culture: both classically Indian and authentically American. It looks like you had some international performances this summer. What was your experience like performing across the globe? It has been such a whirlwind taking The Come Up Tour around the world. I think the thing that strikes me the most is when people know the lyrics to my songs. When I wrote these records in my room, I didn’t know how far the impact would be. It’s constantly inspiring to me. Connecting with the people. I’ve spent a lot of time recording this project and staying behind the scenes. The energy of being on stage is electric for me…I try to imagine activating the light within people through my music. What do you have planned for the rest of the year that we should keep our eyes peeled for? Do you love “City Slums?” Let us know below, or by hitting us up on Facebook and Twitter!